These are my new Smith & Wesson Model 100-1 WeatherShield handcuffs which come in Yellow color. 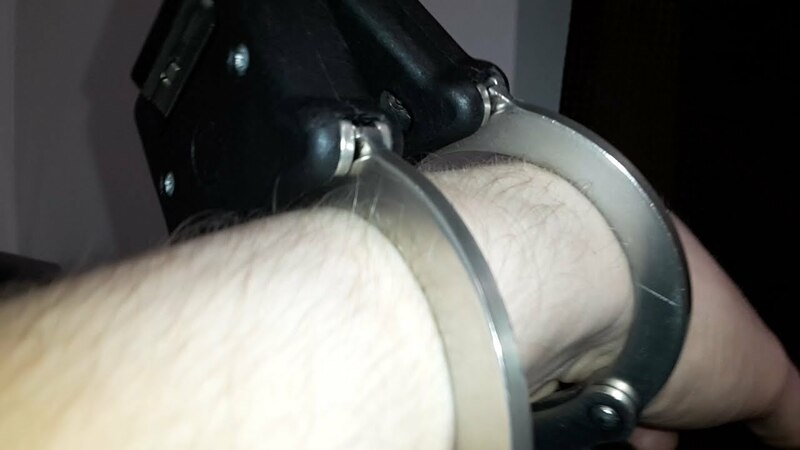 Very smooth, very high quality and internationally known handcuff that is NIJ certified for law enforcement use. But these particular ones are more resistant to water, which is why they call these WeatherShield. They are powder-coated yellow for extra durability and identification. Comfortable both to apply to someone or the person with them on. You can lubricate them with a light oil now and then to keep them nice and maintained. Like usual I wax mine with renaissance wax for extra smoothness and protection (also the key too).